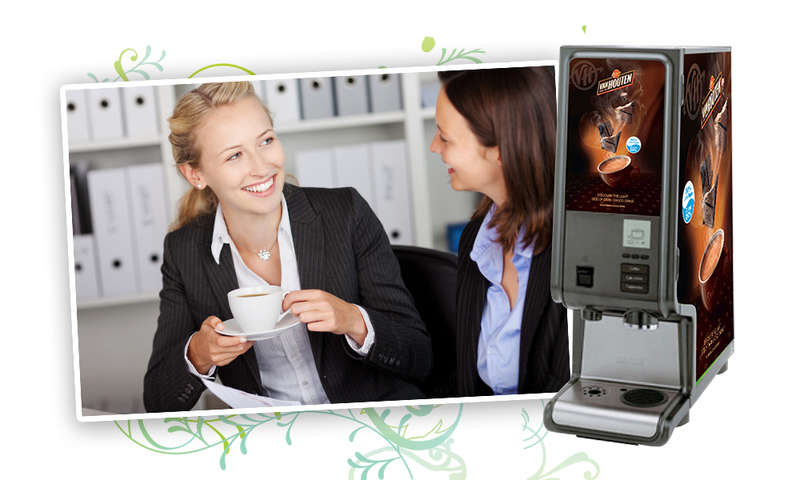 Efficient, stylish and contemporary, the Bolero Machine provides rapid dispensing of quality hot chocolate at the simple touch of a button. The machine is branded for 50% LESS Sugar hot chocolate from Van Houten – one of the worlds leading producers of Cocoa and developed for Schools and the NHS. Incredibly easy to fill and maintain, the Bolero 1 is ideally placed in self service areas in hotels, service stations and waiting areas. This machine also benefits from being able to dispense piping hot water for teas, coffees or soup. The Bolero series generates a professional appearance thanks to the use of durable materials such as stainless steel. Hot beverages and hot water can be delivered quickly at the push of a button!